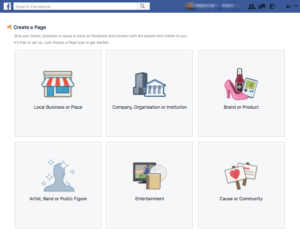 How do I create my Facebook Page in 6 steps? Pages are created to help brands, businesses and organizations to connect with their fans but also to make them new ones – with pages they can connect with people and promote themselves. 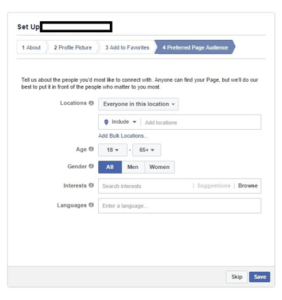 Creating a page on Facebook isn’t very complicated – firstly you have to go to www.facebook.com/pages/create and choose category of your new Page. You can choose from “ local business or place”, “company, organization or institution”, “brand or product”, “artist, band or public figure”, “entertainment” and “cause or community”. Now you have to select a more specific category form the dropdown menu and fill all the gaps. 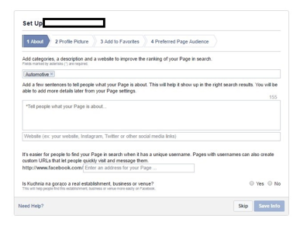 Then, after clicking “Get started” it would be possible to enter additional information about you business – it will make it easier to find you on Facebook and on web search. Next step will be clicking a profile picture for you Page – your logo, picture of you business or brand hero, which has to be 180×180 px. To make it easier to access you Page in the next step you can add it to your favourites, which will show you your Page in one click. 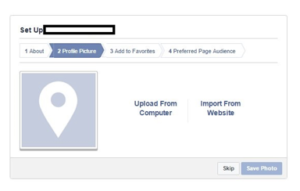 After that step you can easily define preffered page audience and upload a cover photo. This step is really important because it will actually help Facebook to cennect you with your future audience and classify you as a page. You have to remember, that if you want to create a Page to represent a business, brand, organization or celebrity you have to officially represent it. 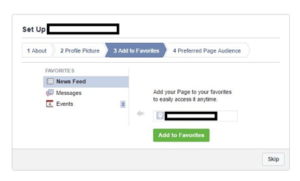 Now you can simply have fun with your new Page but remembering about checking the preformance your fanpage is doing. It is not enough to have a Page to be seen on the Internet – you have to manage it (yourself or hiring an agency) to be sure, that you will reach to bigger audience.